Since 2016, OSM Zambia has embarked on a journey to transform communities in Zambia by introducing them to OSM and tools used in mapping and data collection. Our goal is for Zambians to be able to map peri-urban areas (rural-urban transition zones) where they live. Peri-urban areas usually face challenges like flooding, cholera and poor delivery of services, including Water and Sanitation. Currently, the data available on these places is not complete. OSM Zambia received a microgrant from HOT to make mapping of peri-urban areas possible, recognising the urgency of this data. With this funding, OSM Zambia joyfully supports the training of youths and communities at large in OSM to ensure these peri-urban areas are put on the map. 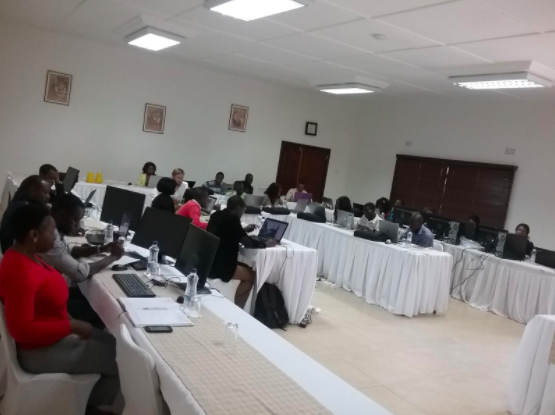 The Microgrant has enabled OSM Zambia to train mappers and equip them with knowledge to use ID editor, JOSM and OSM data in GIS analysis and mapping. So far, OSM Zambia has conducted 10 trainings where over 80 new mappers have been trained from the local community, universities and secondary schools. There is currently a cholera outbreak in one of the peri-urban areas we’ve mapped. In the area, Kanyama, which has a population of 100,000, the maps OSM Zambia developed are being used by the different stakeholders to reach out to the community and try to contain the outbreak. Examples of our maps being used like this is one of the reasons we are running a campaign to map all peri-urban areas in Zambia. Furthermore, with the Microgrant OSM Zambia has also extended its coverage of mapping to remote areas like Chinsali District in Muchinga Province. So far, a youth mapping club has been established at Chinsali Girls Secondary School with plans to engage other secondary schools in Chinsali, as well as Copperbelt University, Robert Makasa campus located in Chinsali are underway. We hope these activities will spread our reach even further. The new team of mappers that will be trained in Chinsali are expected to map the entire Chinsali District on the task created for them on the HOT Tasking Manager. Our Microgrant has not just impacted physical aspects of the Zambian community, but also socio-economic aspects. So far, the OSM training we provided has helped 3 trainees to get part-time mapping jobs in their communities. They include two University students who are using their income from these jobs to further their educational pursuits and one community member who has since started up a business. With this, we can proudly say the trainings by OSM Zambia have brought change in the lives of at least these three mappers. 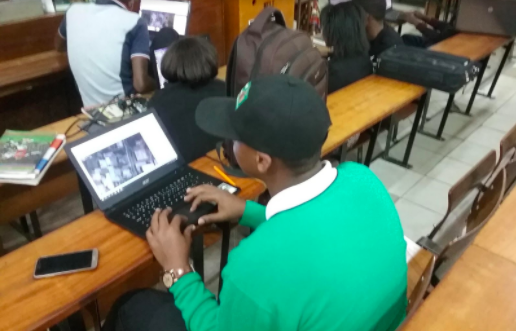 We believe that by teaching valuable mapping skills to young people, and helping them to use this newfound knowledge for hope and a path towards self employment and empowerment we can contribute to the revolution to end poverty and ignorance in Africa. All this work is thanks to the donors of the HOT 2016 crowdfunding campaign! With their continued support, we are positive that the OSM community will continue to expand across Zambia including into more remote areas. We are also hopeful that many youths and community members will continue to benefit from this wonderful innovation. Access to mapping has a great impact for the Zambian community and we encourage more to join.We also call upon everyone to support our campaign of mapping peri-urban areas in Zambia as these areas face a lot of challenges from disease outbreaks due to floods during the rainy season. We want all of them to be mapped by 2019. We also call upon new people to come on board and support HOT, OSM Zambia, and other mapping communities so that they can continue to grow and the entire country can be mapped. Together we can do it and change the face of Zambia and Africa! Follow us on facebook OSM Zambia, twitter:@OSMZambia.